Secrets told and kept, fights won and lost, shared laughter and tears - all of these things make up the sister relationship. Sometimes that relationship is much greater than a mere sibling connection, as in the case of Olivia, Gayle, and Dani Ferguson in W. Mason Dunn's first novel, More Than Sisters! Through a tragic turn of events, their bond transcends the normative definition of a sister, and their lives are forever changed as they adjust to their new roles of parent, teacher, child, and student! Not one to back down from a challenge, Olivia is intent on keeping her younger siblings together as a unit - much to the chagrin of her stepmother Gertrude. She goes to extreme measures to accomplish this goal and, fortunately, it turns out to be the best decision for her young family! Once established in her new role as "mother", Olivia relies heavily on her intimate relationship with God to help guide her two sisters to adulthood: Gayle, the fiery, independent middle sister that wants nothing more than to succeed on her own merits, and Dani, the sweet, innocent baby sister who wants to please God, yet also experience the pleasures of her teenage years. W. Mason Dunn succeeded in presenting realistic characters and situations which kept me engrossed in this story of loss, love, betrayal, and redemption. 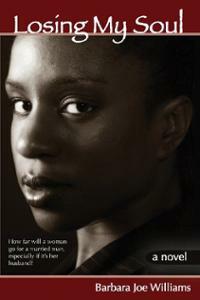 I experienced a myriad of emotions while reading More Than Sisters. I laughed at the sisters' familial antics, cried when they experienced pain, and became angry when they come face to face with pure evil! Her writing style lends itself to a fast-paced read, each chapter bringing the reader closer to the ultimate showdown which could "once again drive the family apart and test their faith in God." In the end, W. Mason Dunn's novel, More Than Sisters proves that the love between sisters is, indeed, an unbreakable bond! When a man and a woman commit to one another in the bonds of matrimony, they agree to love until death. However, in Barbara Joe Williams’ exciting novel, Losing My Soul, the question remains: exactly whose death are we referring to? Belinda Taylor has it all – a rich and handsome husband, lovely children, a grand home, and the material trappings of wealth. Look deeper, though, and one will see that beneath this perfect façade lies an adulterous spouse whose love affairs are ruining their marriage - and Belinda has taken on the task recommended by her aunt of becoming a one-woman wrecking crew who is hell bent on destroying her husband's latest mistress Bridget Hunter! This isn’t the first time that Belinda has dealt with her husband’s little playthings. In Barbara Joe’s previous novel, A Man of My Own, we see her fury as she handles the gold-digging Lisa LaRaye Bradford. But in Losing My Soul, Belinda moves beyond the norm and is swallowed up by a pit of despair that rocks her sense of identity and cripples her spiritual core! With all hope seemingly lost, Belinda begins her long journey of self-acceptance, forgiveness, and the restoration of a soul caught up in life's worldly desires! Barbara Joe is a master storyteller and Losing My Soul proves it, hands down! Her ability to incorporate uplifting themes such as faith and healing alongside the ugliness that can manifest due to hatred and materialism makes Losing My Soul a must-read! From the prologue until the final chapter, I was drawn in by the antics of a very desperate housewife - all the while being shown that although our problems seem insurmountable, God can and will restore lives! Now I know why Barbara Joe's fans keep turning the page...and I have become one of them! For many children across the world, Christmas is a time of excitement and surprise! Upon waking on Christmas Day, they rush to see if their gift requests have been granted. Bikes, dolls, and games of all kinds are usually at the top of a child’s Christmas list, but in Nicole Perkins McLaughlin’s delightful children’s book I Wish For Snow, it is the special wish of one little girl that defines the meaning of this holiday! Set on the island of Madagascar, I Wish For Snow tells the story of De’asha and her culture’s Christmas tradition called “Children’s Day”. Each year, a best girl and best boy are granted one special wish. 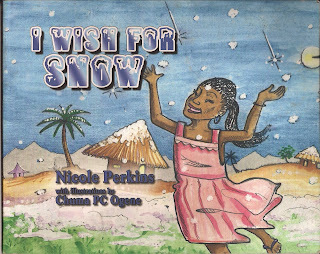 This year, it is De’asha’s turn to make her wish, and she makes the most astounding one ever – she wishes for snow! The island medicine man tries mightily to grant De’asha’s wish for snow but is unable to bestow a Children’s Day gift for the first time ever! Nonetheless, a disappointed De’asha doesn’t give up on her wish and turns to the only other source that she knows to fulfill it: She sends a prayer to God for snow! As you may have guessed, De’asha’s wish was granted, but the snow - because it was a hot climate – “…soon disappeared and left no trace” (McLaughlin). De’asha could have focused on the briefness of its coming, but instead she gave thanks for the opportunity to witness a miracle! Thus is the crux of this beautifully illustrated children's book. Though our prayers may be answered and last only for moment, we should remember to thank the Creator for the chance to partake in such miracles – both big and small! The church is considered to be a place of refuge in times of trouble, but reality shows us that despite our sincerest motives, the evils of this world sometimes manifest in the hearts, minds, and lives of those who are striving to be dedicated Christians! In Melinda Michelle’s impressive debut novel, Surviving Sunday, the Heavenly Hosts must wage a fierce battle to save man's soul from the demonic spirits of deception, hatred, and jealously - and their human counterparts soon realize the multitude of prayers that are needed to win the war against darkness! The battle is on at Kingdom Builders Worship Center, as some of its most loyal and faithful members are caught up in the evil crusade of “The Dark One” to destroy their lives! There’s the music minister and his wife, Seth and Sheridan, who are confronted with a deception so deep that it almost causes them to lose themselves, each other, and a powerful weapon in which to defeat the enemy. Then comes Grey, a head-strong woman who is struggling with her faith as her financial situation becomes very “complicated.” And, finally, Kadijah, a young woman on the verge of claiming her salvation but whose life is threatened by those closest to her! But like any battle, there are also those who fight on the side of good, and Surviving Sunday offers an intimate glimpse into the power of prayer and its ability to protect those in distress! Pastor Josiah, Mother Emma Lee Ellis, and Ms. Ruth prove eager and willing vessels in the fight against the sinister forces that are bent on the destruction of Kingdom Builders and its members. In their secret closets, they offer prayers of protection against “The Dark One” and his army of devilish imps, and even the Angels depend on these “seasoned saints” to provide the necessary prayer covering so that the Truth, which will redeem the saints and bring order back to the church, can be delivered! 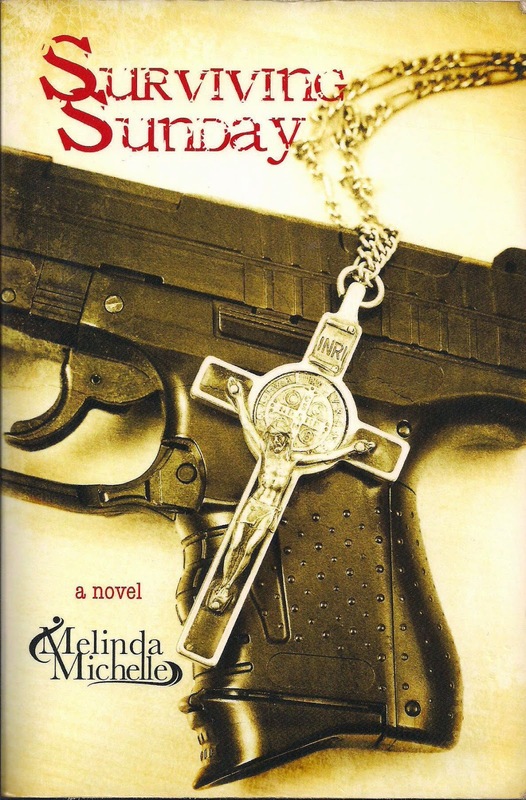 Surviving Sunday is the first novel in Melinda Michelle’s Christian warfare series and magnificently brings to life Ephesians 6:12: For we wrestle not against flesh and blood, but against principalities, against powers, against the rulers of the darkness of this world, against spiritual wickedness in high places! It is full of intrigue and suspense, and I was blown away by the revelations that awaited me as I read page after page! Will Seth and Sheridan recover from deception? Will Grey continue to be steadfast in her faith despite her circumstances? And what will Kadijah do when she finally comes face to face with her hidden enemy? I couldn’t wait to find out the answers and neither will you as you read this fascinating account of the spiritual warfare that occurs daily on our behalf! I definitely recommend this book and look forward to reading Melinda Michelle’s second book in the series, Monday Madness! During life’s journey, we are apt to experience difficulties and hardships. Some people’s troubles may be greater than others, but no one is immune when the storms of life come rolling in! In Daybreak Gaining Strength Through Our Pain, Angela Y. Hodge reveals her own personal struggles and offers poetic encouragement to those who may be at the lowest point in their life! 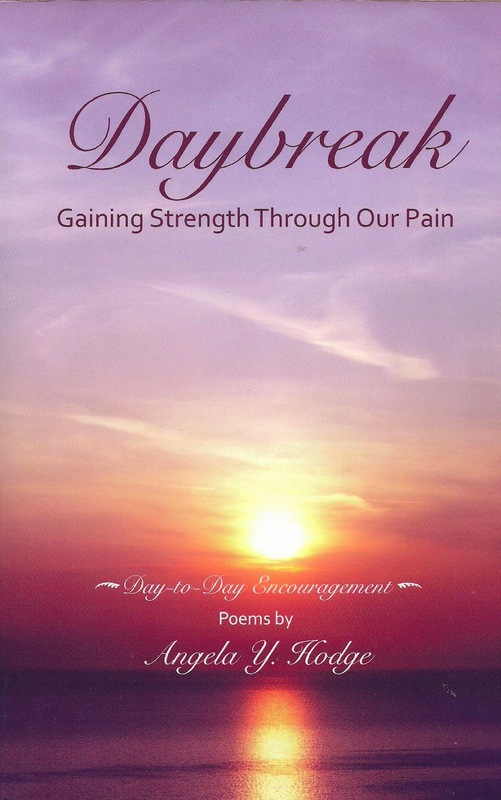 Daybreak Gaining Strength Through Our Pain is presented as a 31-day support guide. Each day, the reader is offered a biblical scripture and a beautifully crafted poem by the author that addresses issues which may be present in our lives. For instance, “The Battle That Was Within Me” deals with wanting acceptance and trying to find our place in the world; “A Second Chance” speaks to the opportunity that God gives all of us to try again; and “The Miracle That Was Unfolded” tells the amazing story of the author’s niece who was born fighting for her life, but - through God’s grace and mercy – is now an honors high school graduate! As I completed the 31-day challenge, I was uplifted with each turn of the page. Angela reveals her most intimate emotions and situations as a way to assist the reader in increasing their faith in the power of God. Her messages resonate with hope for a better day, and the poems left me feeling filled with assurance that prayer can and does change our situation! Daybreak Gaining Strength Through Our Pain is a great find, and I would recommend that readers take the challenge for themselves! Love is defined by Merriam Webster as strong affection for another arising out of kinship or an attraction based on sexual desire. 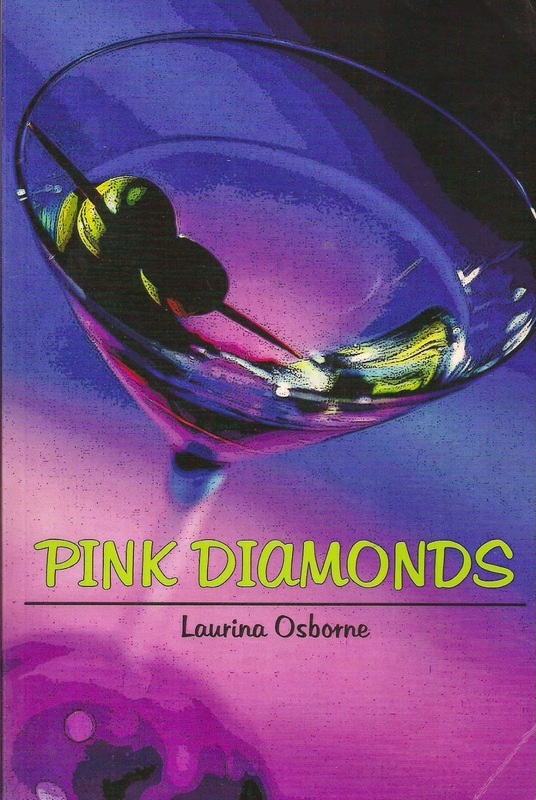 In Laurina Osborne’s exhilarating first novel, Pink Diamonds, both of these definitions can be applied to the personal relationships of Jaycee Kingsley. Jaycee is an independent woman who has had many failed relationships with undesirable men. When she finally meets Roger Spencer - a man who “…could have anything he wanted…” (Osborne 3) - Jaycee is cautious at first but soon melts from Roger’s patient persistence and their intense sexual compatibility. However, as they embark on the beginning of their lives together, everything they have so lovingly built threatens to be destroyed by monumental secrets from their past! With every turn of the page, Pink Diamonds reveals yet another twist to a fascinating storyline! Jaycee’s familial angst exposes the hidden psychological barriers which were created as a result of her inability to forgive her mother and sister for the pain they inflicted on her because of a teenage indiscretion. Her condemnation of her family, however, has caused her own body to turn against her, and it is Laurina’s skillful pen that leads the reader to a most startling conclusion, one which allows Jaycee to free her mind and body from the demons that have held her captive for so long! Juxtaposed against Jaycee’s family drama is her relationship with Roger. If you blush easily, be forewarned! Pink Diamonds provides explicit details of the sexuality between Jaycee and Roger, but I feel that it was necessary for Laurina to provide this in-depth view of Jaycee’s ability to “…forget not to feel…” (121) when she is in love because it shows that despite all of her man drama, despite all of the pain that she has felt since her teen years, she has not given up on men or given in to the “…mad-black-woman attitude…” (2)! Love is the thing that ultimately saves Jaycee from a life filled with doubt and frustration, and this love is expressed realistically and maturely in the novel. Pink Diamonds is a marvelous novel, and I would definitely recommend that it be added to one’s reading list! With realistic characters and intricate plot twists, Laurina masterfully weaves a tale of love, lust, jealousy, anger, friendship, and forgiveness. She is able to place the reader right in the middle of the tricky business of matters of the heart and allows us to see Jaycee transform from a women chased by her past demons into one who is finally able to both receive and give love to the fullest! I enjoyed every moment of this tender love story and so will you!